GRINGO VISAS is proud to recognize Maite Duran’s 4th anniversary of providing outstanding Visa services to Ecuador for the expat community. Help Maite Celebrate on June 19th! 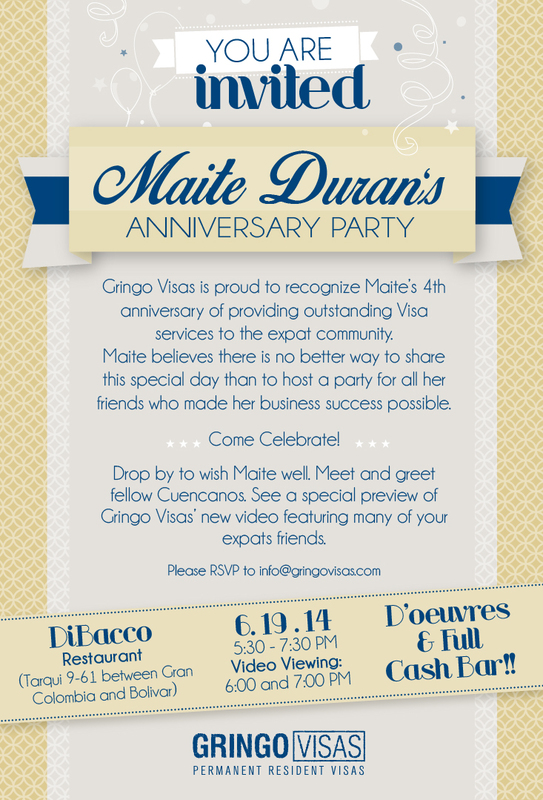 If you are in Cuenca, Ecuador on June 19, 2014, Maite invites you to stop by DiBacco Restaurant to help her celebrate 4 years of outstanding Visa services. Why: Celebrate 4 years! Preview showing of Gringo Visas video launch.